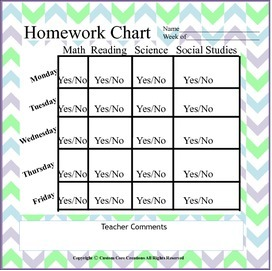 Homework Tracker is a great product to help your students stay organized throughout the entire year. Please leave positive feedback if you like this product and it helped you and your students succeed! !